Our expertise, service and solution-oriented approach give us an edge. From design collaboration to line selection, from service to installation support, Midwest brings a union of creativity and practicality to every project. Midwest Office Interiors, Inc. is more than just a furniture dealer. Every partnership is about more than just choosing furniture that serves a function or looks good. It’s the thoughtful consideration behind the selection of the furniture. It’s finding solutions when challenges arise. It’s taking an idea and adding the pieces to make it come to life. It’s being there when the last piece is in place. Since 1995, it is that commitment to giving the customer our best and building long-lasting relationships that has kept them coming back year after year. 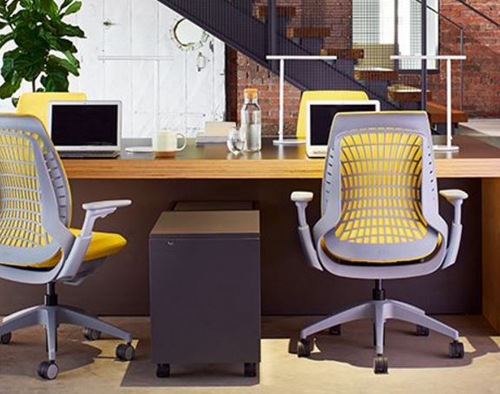 Midwest Office Interiors is an HNI Companies dealer representing manufacturers such as Allsteel, Hon, Gunlocke, Paoli, and HBF. We also work with over 300 qualilty furniture manufacturers. We want to help you create a space that works for you now, and if your needs change we want to be the partner you turn to.